Ask an Automotive Vinyl Graphic Expert anything about automotive vinyl graphics! We will follow up with you via email within 24-48 hours. WHY CHOOSE MUSCLECAR PRO SERIES? 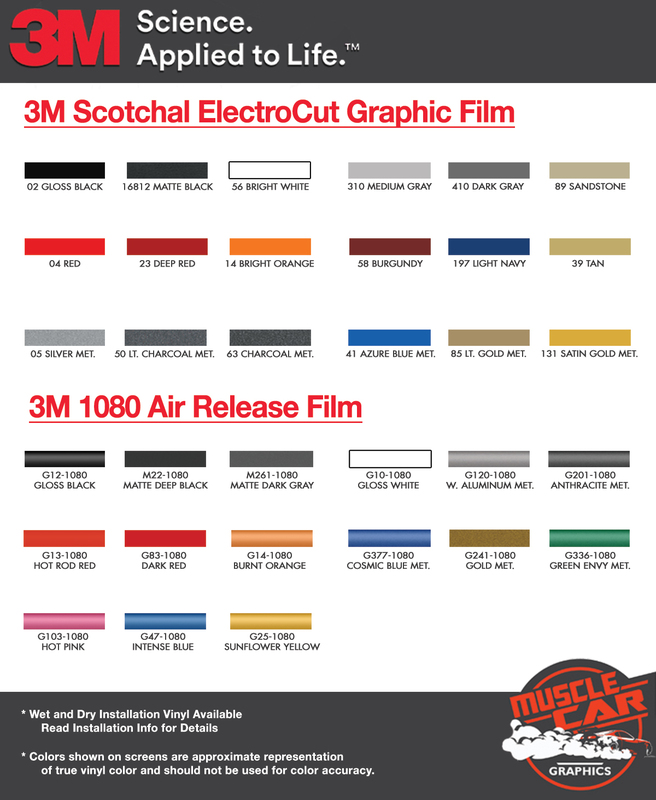 MuscleCar Pro Series vinyl graphic kits are produced with rigorous quality ISO 9001:2015 standards to assure a beautiful vinyl product that is ready to install. Using state of the art design and manufacturing professionals, these vinyl graphic and striping decals are professionally designed and test fitted to exact vehicle specifications and measurements before being offered to automotive dealerships, and requires minimal to no trimming of the vinyl which saves the installer the risk of cutting the vehicles paint. Whether you have a new muscle car or a late model truck, our MuscleCar Pro Series vehicle specific or universal fit vinyl graphic design will add style and value. Browse the thousands of styles and color combinations we have available!